Even though I've never been to one of the CES tradeshows, I love learning about the new consumer electronics and tech gadgets that come from the Vegas event every January. So I thought I'd share a few of the skin care and wellness products that sounded like they'd take your beauty routine to a level that Judy Jetson would be proud of -- and even envy. HiMirror Plus: I actually first one of my blogger babes talk about the HiMirror a couple weeks ago and was just in awe of it. I was like, "How, Sway?" because it just seemed to good to be true. But it is true! 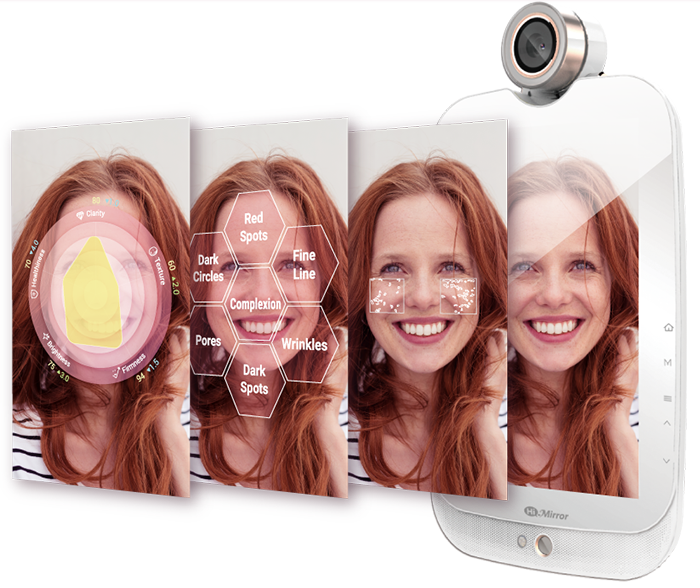 HiMirror is a smart mirror that analyzes your skin by scanning your face and telling you what you need to add (or delete) from your skin care routine. It assesses your skin's clarity (dark circles), texture (fine lines), firmness (pores), brightness (complexion) and healthiness (redness). But, fortunately, after doing all that, it acts as a consultant by letting you know the type of skin care items to purchase so you don't waste your money and effort on products that don't work for your specific needs. Kerastase Hair Coach: If your face looks good, then your hair should too! 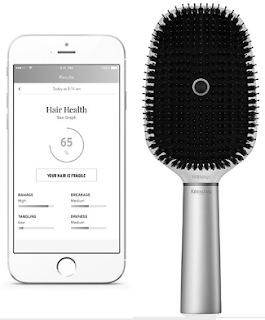 The new Kerastase Hair Coach Powered by Withings is a smart brush that was developed in collaboration with L'Oreal's Research and Innovation Technology Incubator. Basically, the bristles on the Hair Coach act as sensors that score the quality of your hair and that monitor the effects of various hair care routines. The sensors are equipped with a microphone that can provide insight on your hair's degree of frizziness, dryness, breakage and split ends. Like the HiMirror, this brush tells you what you're doing wrong and helps you to do it right. It says that it works on a variety of hair types, so keep an eye out, naturalistas! Nox Music: So we've talked about a couple products that you can use while you're awake, but what about something that works while you're sleeping? We all know that beauty sleep isn't called beauty sleep for no reason. The Nox Music Smart Sleep Light is something that I could totally use in my life. 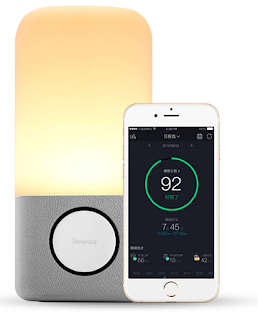 The light is designed to monitor, track and improve your quality of sleep. The Nox Music helps you easily fall asleep with soothing light and sound. The light technology produces red wavelengths that raise your secretion of melatonin and the sound provides that ambient noise that lulls you to sleep. The smart alarm wakes you up during a light sleep cycle instead of a deep sleep cycle so that you wake up feeling more refreshed. It's beauty from the inside out, people. Breathometer Mint: OK, this one might seem rude, but I swear it's all about improving your overall health. Mint is a device that uses sensors to detect the signs of harmful bacteria in your mouth. It's not just here to say you have bad breath! The wireless device and the app together can analyze your oral health and provide you with a report card. That "card" gives you ways to improve your cleaning habits or simply let you know the effect your diet is having on your oral hygiene. Mint can even measure information related to gum disease. Oh, and the Shark Tank team invested in it. Mobile Nail Printer V11: First hair and skin -- now nails. You guys already know that I'm a fan of anything that makes applying nail polish easier. I've used the salon pro gel kit, a spray polish, and most recently a ton of nail polish strips. 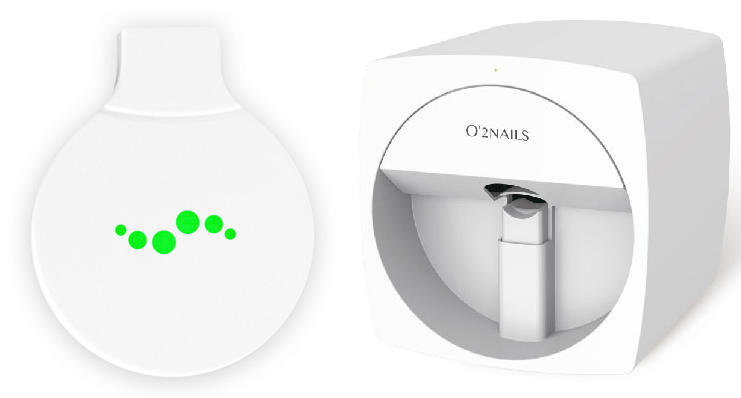 So I really love the innovation behind the V11 Nail Printer from O'2Nails. Using the app, you select one of the polish patterns and then the pattern is wirelessly transmitted to the printer. The V11 prints out as a nail sticker that you can then easily apply (and obviously, without any drying time). What's even cooler is that you can use any image you find on the internet or even a photo from your own camera roll. I'm talking images like hi-def artwork, flowers or landscapes. Magnetic Lashes: Remember when I shared the magnetic lashes by One Two Lash back in July? Well, it just seemed fitting to add them to this beauty and tech post. They come with a top lash and a bottom lash, each with a magnetic strip. The magnets attach to your natural lash line. Once you get the hang of it, you can apply these magnetic lashes in about 30 seconds, which is better than the 30 minutes it used to take me. I bought one set of the bold lashes, but you can also get the natural lashes, the accent lashes or the filler lashes (my friend bought a set after seeing mine). This is so cool! I can't believe you can do all of this on your phone now! This is SO RIDICULOUSLY COOL!!! Does the HiMirror actually work??? I was literally thinking of exactly this sorta thing the other day, like wouldn't it be nice....? AWESOME products! Do you know blogger Elle Sees? She actually has a HiMirror and did a review on it. Ooooo...I want that hair coach! 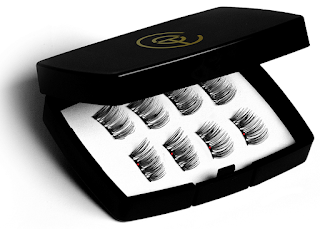 Those magnetic lashes sound awesome for events and parties! I don't use them all the time, but I do love them for those exact reasons. Makes putting on lashes 10 times easier and faster. The HiMirror is probably the coolest thing I have ever seen! I feel like it is the ultimate gift for a beauty lover! Right? I need to get my hands on it. I have eyelash extensions right now but I am intrigued by "magentic" lashes! I'll have to do some Googling and YouTube video watching to find out more! Magnetic Lashes seems very interesting. . . The mobile nail printer... !! OMG I am so excited - this looks sooooooo cool.